In the must-have Alfred Bill "The Buddha" Dickens: Funk Bass and Beyond Book and CD, Bill presents all of his amazing funk grooves and patented slap, pop, and percussive techniques. 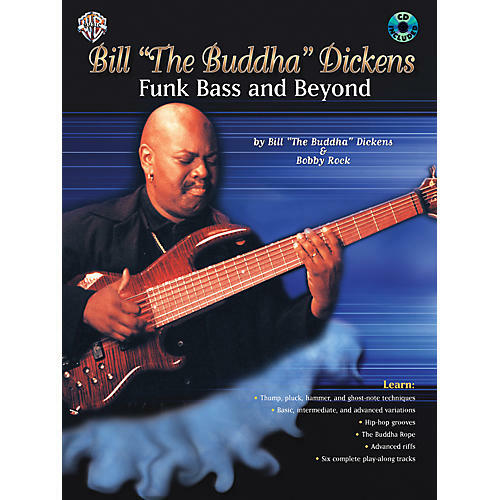 Bill "The Buddha" Dickens is a phenomenal bass talent whose reputation has reached a legendary cult status as one of the top session bassists in the world. Everything is demonstrated slowly on the included CD and all the music is written in standard notation and tablature.